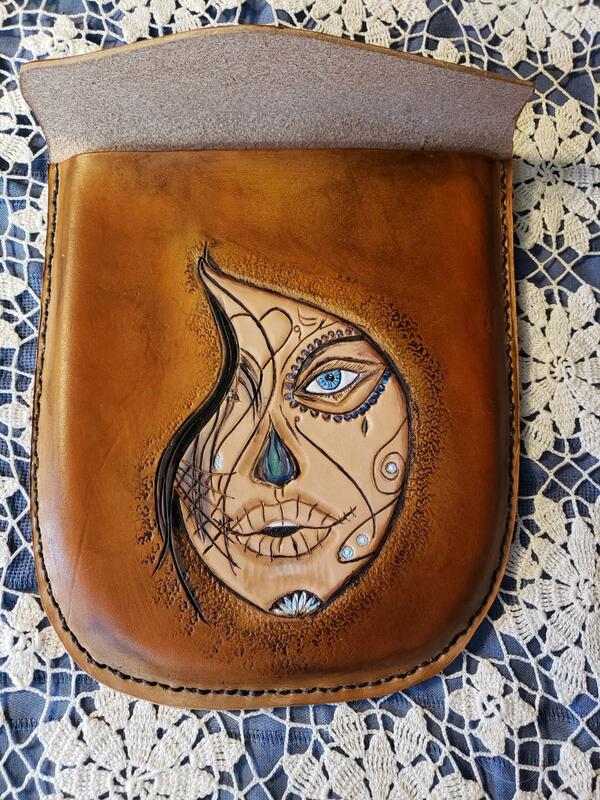 Interests:Very interested in being able to do better leather work than I do. Nice job overall and excellent artwork, but you need to watch your stitching distance to the edge. @Bawarrior did you sew first then sand/cut the edge to the stitch-line? I usually cut as close to finished size as I can, stitch, then sand to the required shape. Especially on a bag like you have made here. That way, you can get a nice even distance between edge and stitch-line and also a nice smooth edge ready for burnishing.